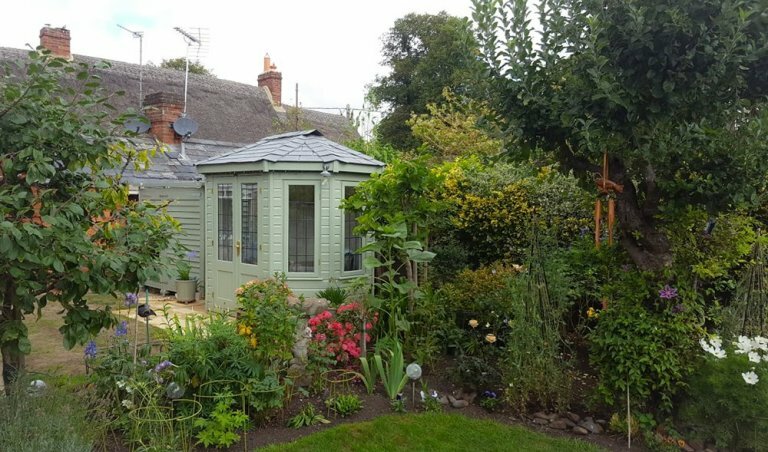 The summerhouse measures 1.8 x 2.5m and features a distinctive octagonal roof covered with grey slate composite tiles and an exterior clad with shiplap. The smooth FSC® certified timber building is painted in our exterior paint shade of Lizard, which was selected by the customer from our vast range of exterior paints. This also includes a Farrow & Ball palette and a bespoke colour-match service for those with something truly specific in mind. 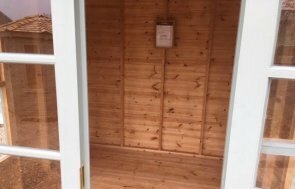 Internally, the Wiveton Summerhouse comes as standard with lining and insulation on the walls and ceiling, with the customer also opting to add floor insulation, painted pine lining and an electrical pack with a heater. 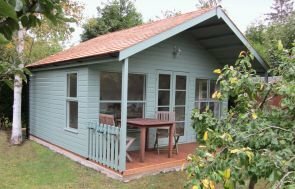 This takes the building from a simple seasonal summerhouse to a year-round garden retreat that can benefit from the use of lighting, mains and heating. 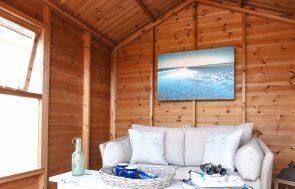 If our show-stopping summerhouse has inspired you to think about what you can do with your outdoor space, we recommend that you pay us a visit at your local Surrey show site based in Cranleigh. Alternatively, to speak to a friendly advisor or plan your visit to one of our other UK show sites, get in touch on 01760 444229.